To provide improved prime movers for the artillery, three new high speed tractor were authorized early in 1945. 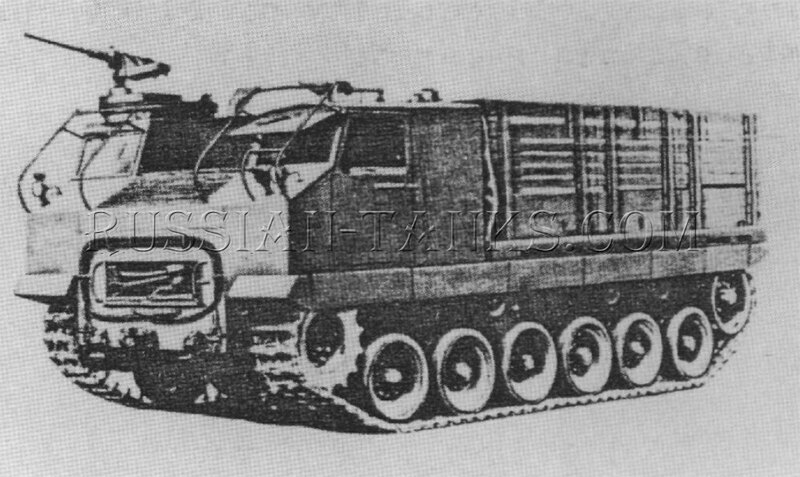 Designated as the cargo tractors T42, T43, and T44, their respective payload capacities were specified as 15,000, 6,000, and 30,000 pounds. 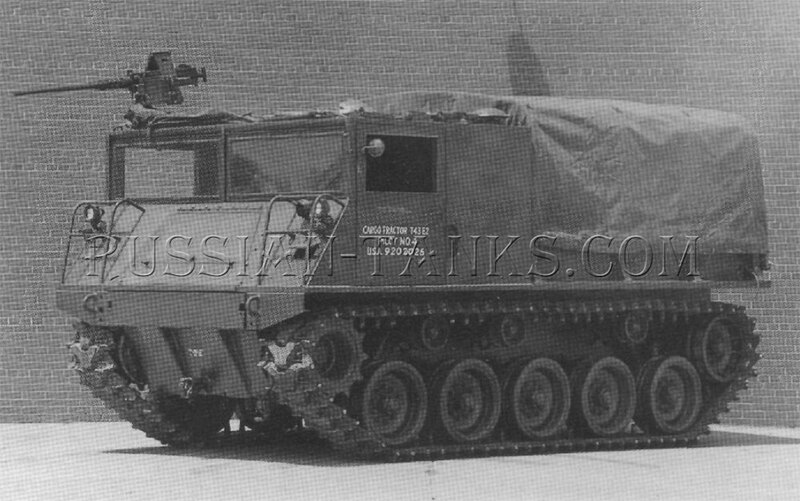 The T42 paralleled the development of the armored utility vehicle T16 and used the same power train and suspension components. Like the T L6, the T42 replaced an earlier design concept, in its case designated as the T33, which had been based upon the components of the light tank M24. However, the light tank engine did not have sufficient power and it was replaced in the T16 and the T42 by the power train from the 76mm gun motor carriage M18. 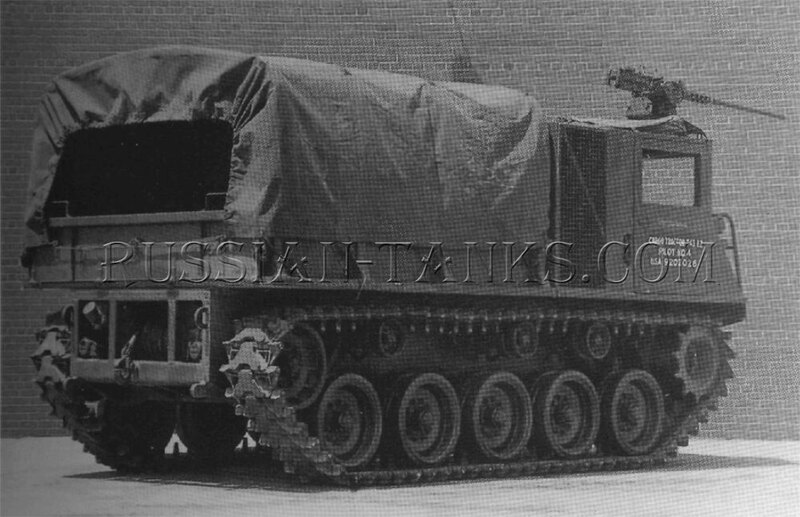 As an artillery prime mover, the T42 was intended for use with towed loads of 18,000 to 32,000 pounds. 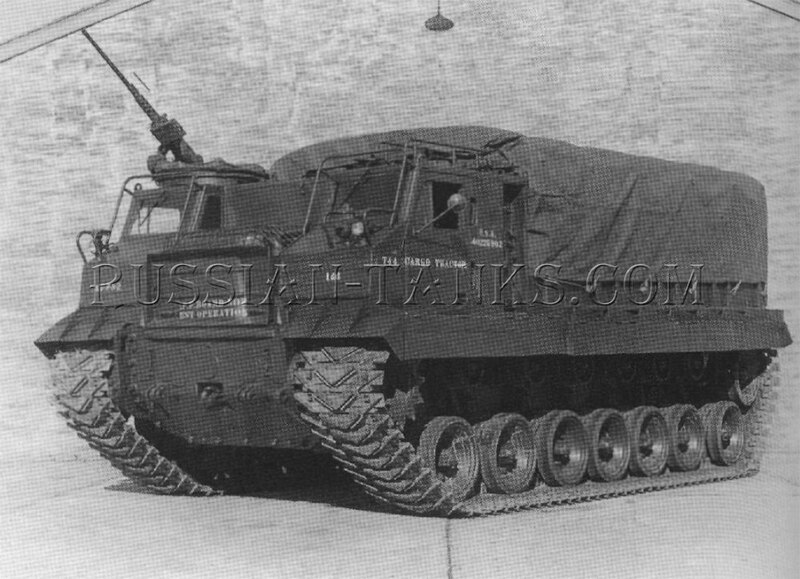 Six pilot T42s were built and the vehicle was standardized as the cargo tractor M8 in December 1945. Three of the pilots were rebuilt replacing the air-cooled R-975-D4 radial engine, the 900AD combined torque converter-transmission, and the controlled differential with the power train from the light tank T41. This consisted of the air-cooled AOS-895 engine with the CD-500 transmission. 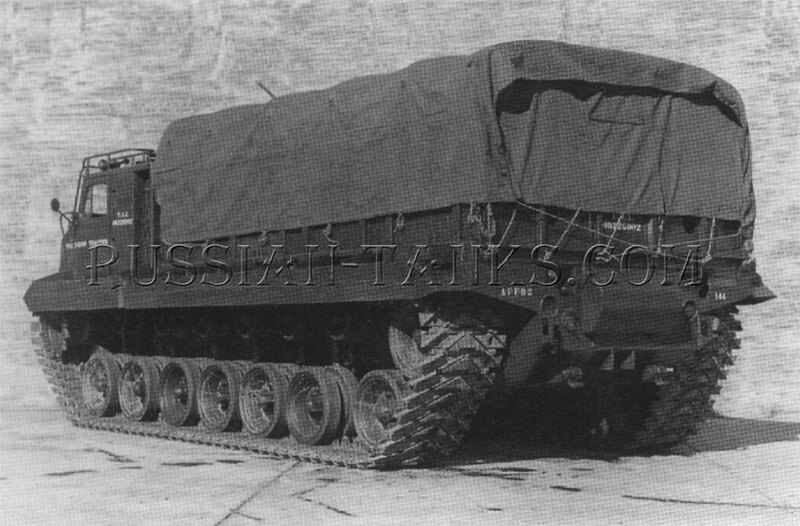 The new version was designated as the cargo tractor M8E1. Further modification included a new version of the engine and transmission then being installed in the latest model of the light tank. These were the AOS-895-3 and the CD-500-3. The vehicle also was redesigned to insure maximum interchangeability of parts between the light tank and the cargo tractor. With the new designation cargo tractor M8E2, 480 vehicles were authorized for production at the Allis-Chalmers Manufacturing Company on 31 July 1950. 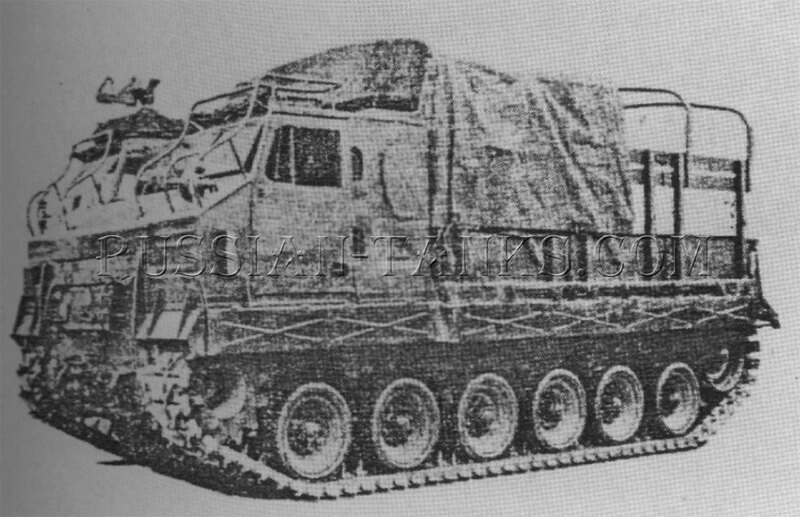 Later, the M8E2 was standardized as the cargo tractor M8A1. 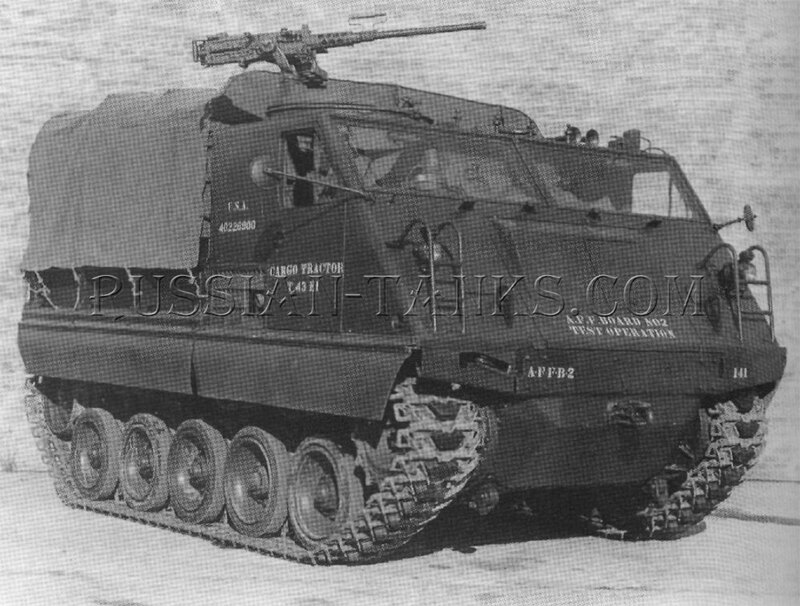 When the M8A1 was fitted with the AOSI-895-5 fuel injection engine, it was reclassified as the full-tracked, high speed tractor M8A2. In April 1946, OCM 30587 approved the development of a wrecker suitable for use by artillery, cavalry, armor, and tank destroyer units. 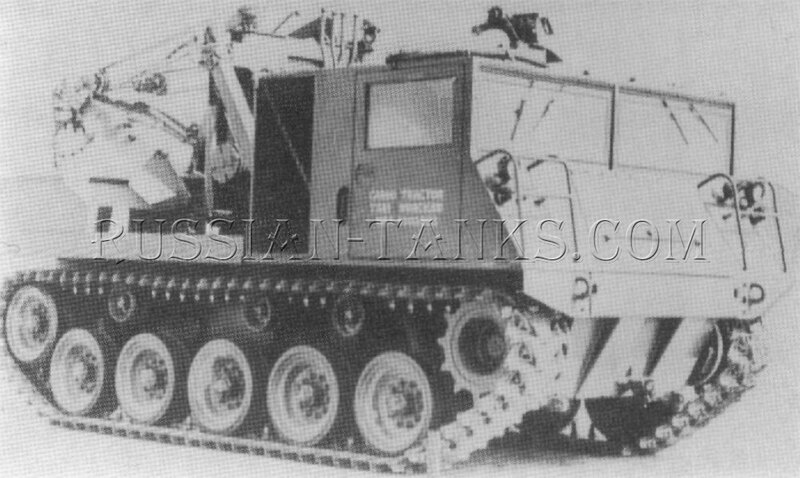 Designated as the full-tracked, high speed tractor, wrecker T4, the wrecker equipment was installed on the chassis of the cargo tractor M8E1. Hydraulic failures during the test program resulted in modifications and the new wrecker equipment was mounted on two M8E2 cargo tractors. The new wrecker was designated as the T4E1. 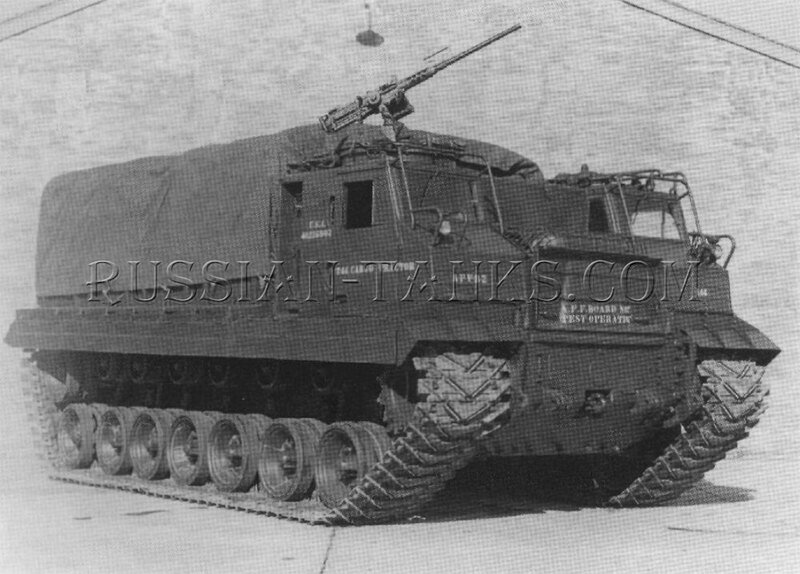 The cargo tractor T43 was designed as a prime mover for the 155mm howitzer and lighter artillery loads. As originally designed, it utilized a bogie type suspension with volute springs. 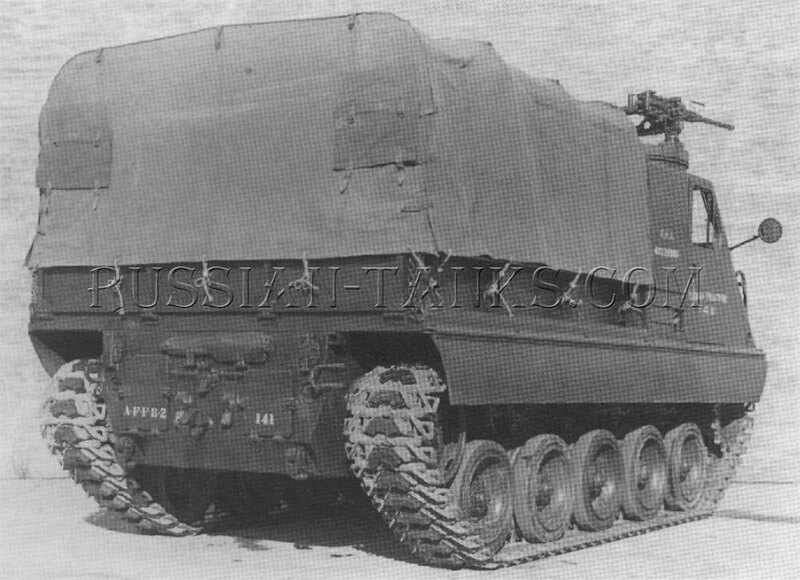 Since it was desirable to use the latest type suspension on the entire new family of vehicles, it was redesigned to use the same type of torsion bar suspension employed on the light tank T41. It also was powered by the AOS-895-2 engine with the CD-500-2 transmission. Pilots of the original T43 design were never built and the new version was designated as the cargo tractor T43E1. 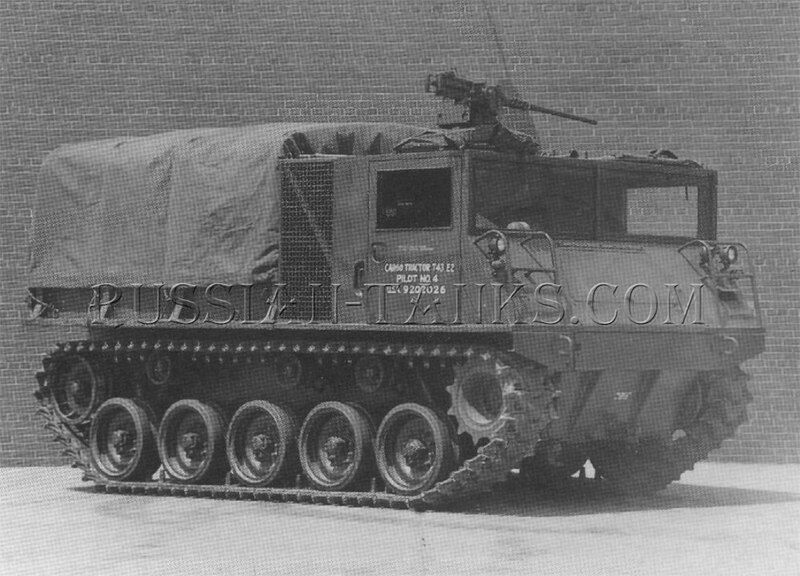 This same chassis serve as the basis for the armored utility vehicle T18. The first of three T43E1 pilots was completed at the International Harvester Company in January !949. Engineering and service tests revealed the need for numerous modifications. The CD-500-2 transmission was replaced by the Allison XT-500-3. The designation was now changed to the cargo tractor T43E2. Twelve of the T43E2s were ordered. Five of these were additional test pilots and the remaining seven were allocated to the U. S. Marine Corps. 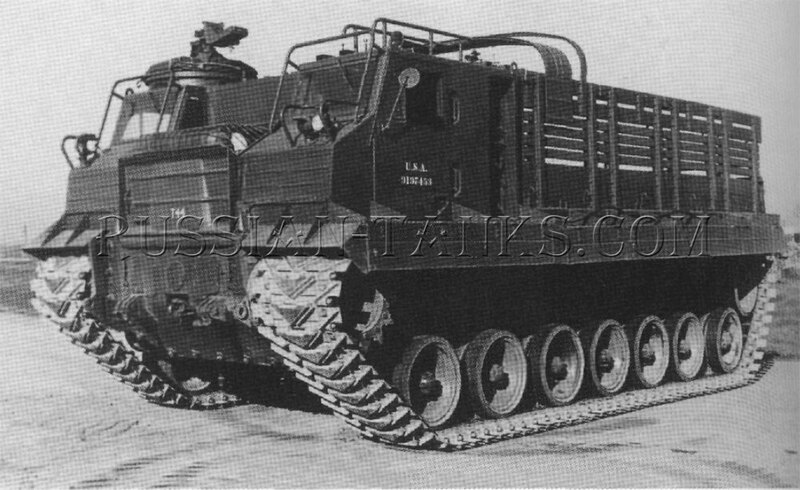 OCM 31160, dated 24 October 1946, approved the procurement of the full-tracked, high speed, wrecker T5 based upon the T43E1 cargo tractor. 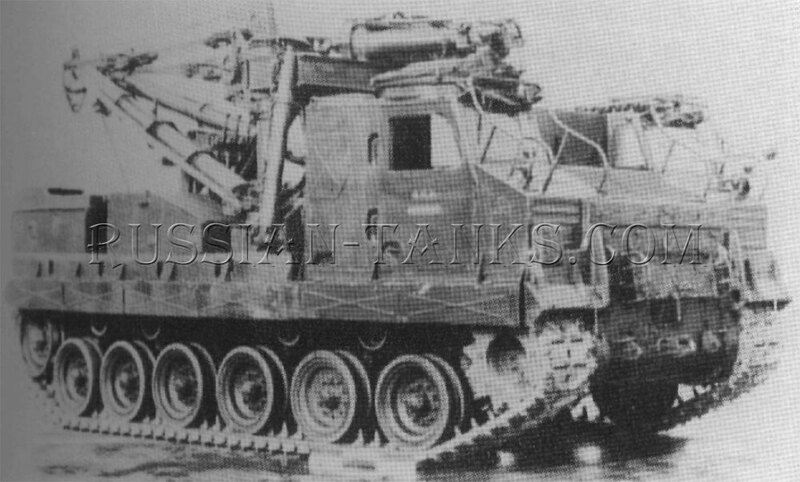 The hydraulic failures during the test of the T4 The cargo tractor T44 was developed to provide a high speed prime mover for artillery towed loads of 40,000 to 65,000 pounds. Although six pilots were authorized originally, the number was reduced to two in March 1946. After the outbreak of war in Korea, the T44 was redesigned by the Pacific Car and Foundry Company to use the latest components such as the AV-1790-5B engine and the CD-850-4A transmission. 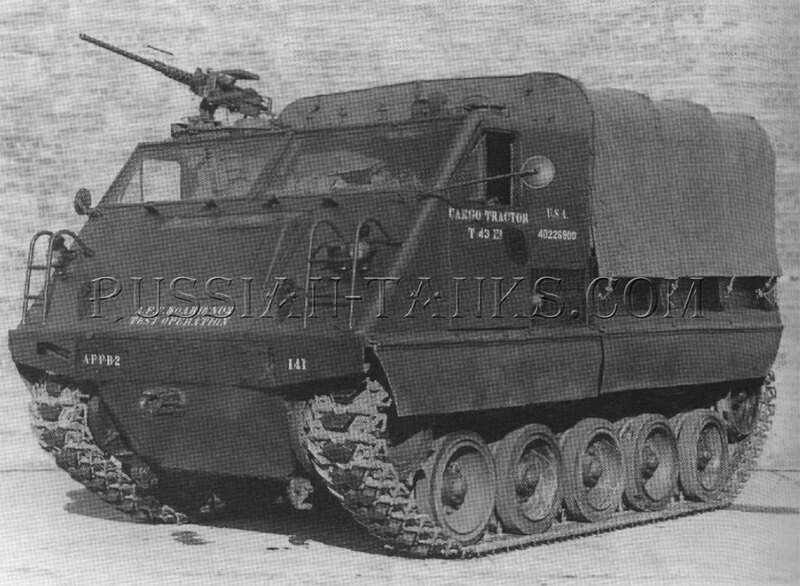 The redesigned vehicle was designated as the cargo tractor T44E1, but no pilots were built. 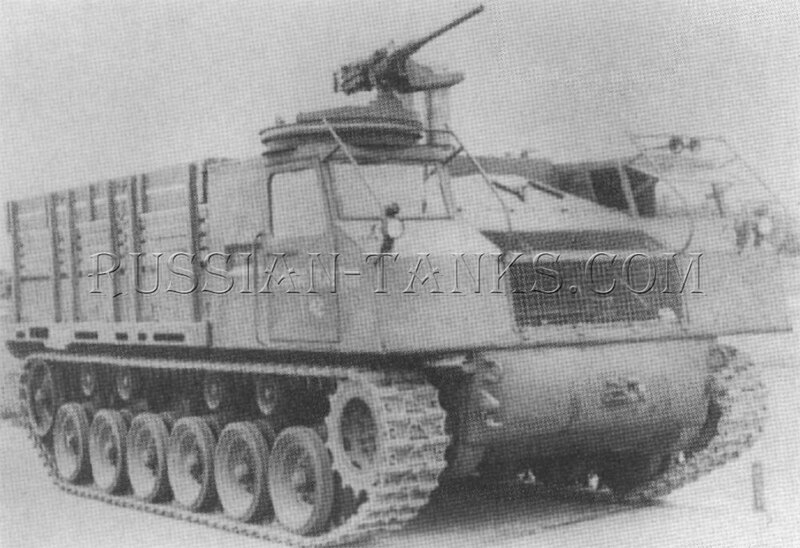 However, two T6 high speed wreckers were built based upon the T44E1 design. 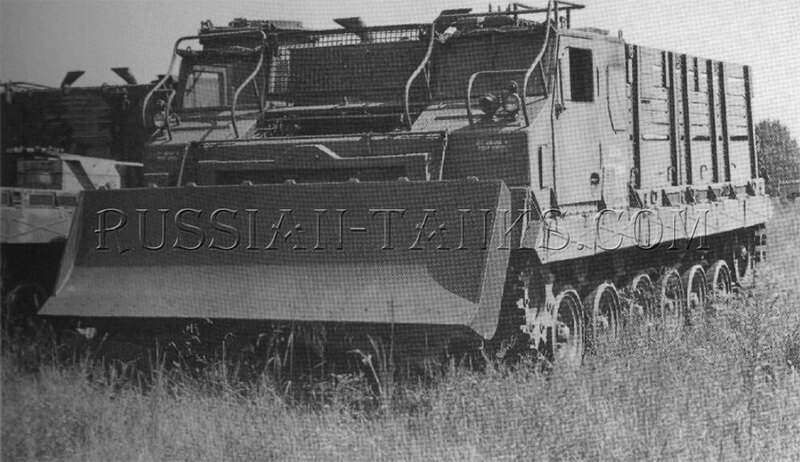 The T6 was fitted with a crane and was intended for units that would be equipped with the T44E1 cargo tractors. The crane also could be used to emplace the 240mm howitzer and the 8 inch gun.